"Honey I Shrunk the Kids!" If you are looking for a classic game but with a new twist, then A Moon Jump 4U has just want you are looking for, Giant Connect Four! 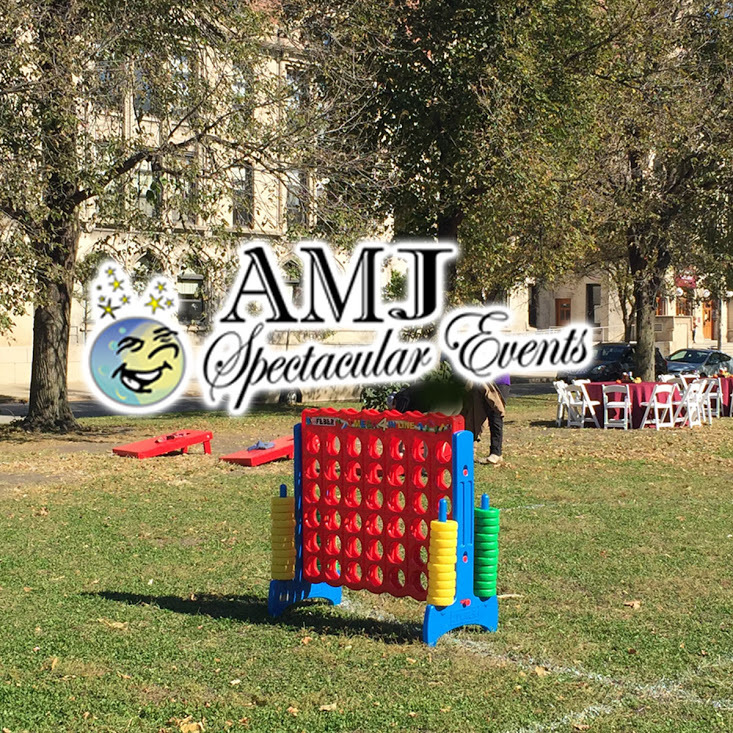 (AMJ will also rent you: Giant Checkers, Giant Jenga and Giant Kerplunk too.) When planning an event and you need some more entertainment ideas, why not offer a few classic games that are simple, fun and will help create fun memories. Everything's more fun when it is bigger than what we are use to! When you guests arrive at your party they will scope the lay of the land and this will surely catch their eye. When you rent this giant game from AMJ we will, deliver on time, setup and take down, you just invite the party guests. How to Play: Decide who goes first. The first player drops one of their giant color checkers into one of the large slots in the board. Then, players alternate turns dropping checkers into the board, either trying to build up their strategy to win, or block an opponent. The object of the game is to get four of your color giant checkers either vertically, horizontally, or diagonally. In order to officially declare victory, the player must recognize that they got four in a row and say so. By using strategics, a player may try to figure out what their opponent is thinking and then attempt to block their win by dropping a giant checker in a corresponding slot. A Moon Jump 4U loves when we can add to your special events or parties. Jumbo Connect Four will help you create lasting memories and keep your guests entertained. 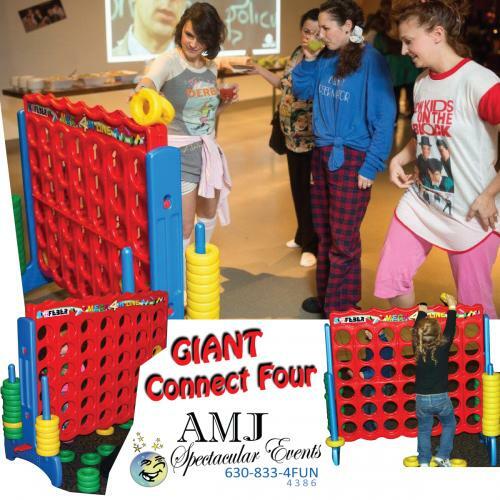 Give AMJ a call to reserve this classic game, Connect Four.